HomeNewsWales Book of the Year 2017 to be serialised in Western Mail. Wales Book of the Year 2017 to be serialised in Western Mail. In Pigeon, Iola and Pijin make up stories to test each other, stories of daring and adventure, of bad people and of Gwyn who drives his ice cream up the hill to their town every week. Gwyn is a dangerous man and Pijin knows it. Iola is not so sure. As they grow up and their friendship grows more complicated, some of their stories fall silent, but some will come true. Alys Conran’s fiction, poetry, and translations have been placed in several competitions, including The Bristol Short Story Prize and The Manchester Fiction Prize. Having previously studied Literature at Edinburgh, she completed her MA in Creative Writing at Manchester. 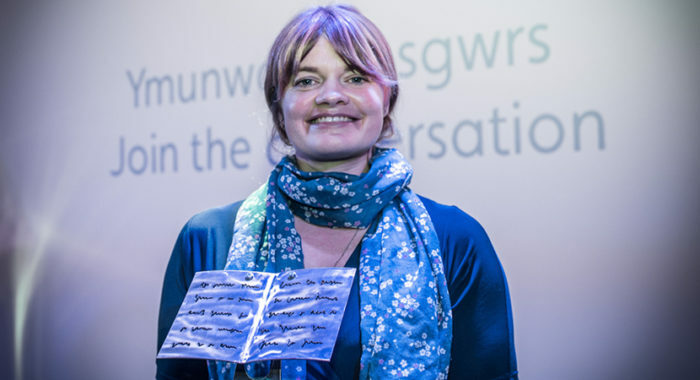 She has also run projects to increase access to creative writing and reading among traditionally excluded groups in North Wales. She was recently awarded a scholarship to write a second novel. Watch out for a feature on Alys Conran in Western Mail on 19 December 2017.